At some point, most everyone has had the sore, stuffed belly that comes with overindulging in a meal. Whether it happens at a holiday meal or at night in front of the television, eating too much every once in a while is normal. So is eating for emotional reasons like a stressful day at work. “From the moment we’re born, we are nurtured with food, rewarded with food, and so emotional connections to food are normal,” says Michelle May, MD. In some cases, people overeat out of mindless habit. 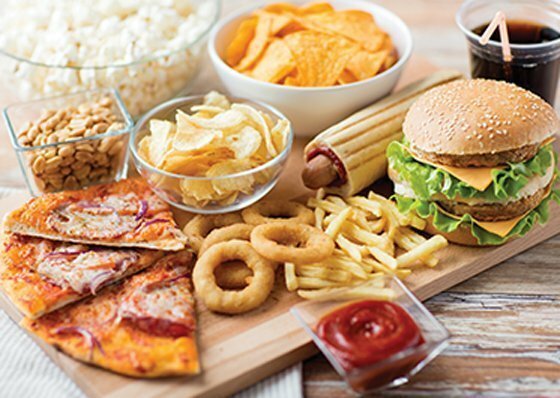 People who compulsively overeat, though, could be using food as a coping mechanism for negative emotions. In today’s society, we use the verb binge lightly. When used to describe eating behavior, it can be quite serious, however. It’s believed that as many as six million Americans are struggling with binge eating. The cycle can be hard to break, and it can lead to a host of health issues and even develop into an eating disorder recognized by the American Psychiatric Association.